Technical capabilities apart, the Russian-made Su-30MK and French Mirage 2000-5 have a lot that is uncommon. In their race to claim superiority we present the Russian viewpoint. EXPORT contracts for armaments and military hardware are almost invariably subject to fierce competition among manufacturers from various countries. The Sukhoi Su-30MK contract for India is one such example one Western publications have recently featured biased reviews, which criticized the combat capabilities of Russian tactical aircraft and highly rated those of modern European fighters. We present here the Su-30MK fighter and its major competitor on the Asian armament market - the Mirage 2000 - and analyze their combat capabilities from a purely technical point of view. Also, we seek to identify the connection between aircraft flight performance and technical characteristics on the one hand and aircraft tactical capabilities, on the other. Aircraft technical characteristics, its flight performance and tactical capabilities are primarily determined by a design concept, which develops from specified aircraft roles, task and mission environment. One can see here the principal difference between the Su-30MK and Mirage 2000. 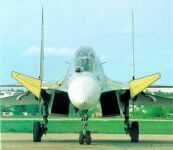 The Su-30MK concept envisaged the maximum retention of its features of its forefathers - the Su-27 air-superiority fighter with a focus on the significant buildup of multi-role capabilities.  This aircraft belongs to the so-called heavy-class fighters. Its main feature is a capability for autonomous employment, i.e. the execution of interception or ground attack missions, including deep penetration strike missions without targeting information from ground-based control systems. The Mirage 2000 is a light class fighter intended mostly for air-defense mission with use of information delivered mainly from ground-based control systems. 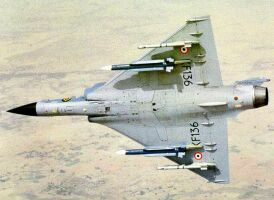 The latest Mirage 2000-5, a more potent version compared to the basic design is now aggressively being marketed internationally. These French aircraft considerably yield to the Su-30MK when performing combat actions at long ranges from home airfields due to relatively low capabilities of onboard systems for autonomous missions. Consequently, the comparative analysis of these two fighters is basically theoretical, as they conceptually belong to different classes and have their own preferential areas of tactical employment. The latter factor is specifically considered by potential buyers choosing aircraft to meet their requirements. However, there are a number of objective factors, which can be used to compare these aircraft and rate their technological perfection, aircraft performances, and the characteristics of avionics and armament suites. The Su-30MK's high performances are attributable to its structural and aerodynamic configuration. It is a tri-plane (a combination of normal configuration with its foreplanes) with lifting fuselage and developed wing-root extensions. The interaction of the foreplanes and wing extensions creates a controlled vortex effect similar to that of an adaptive wing. In terms of the aerodynamic efficiency, the Su-30MK, like all other Su-27 family aircraft, has no rivals. The Mirage 2000 aerodynamic features are not so pronounced, although its tailless delta wing configuration (that is traditional for French fighters) is highly efficient at supersonic speeds. 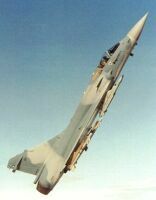 The Sukhoi aircraft's unique maneuverability is acknowledged all over the world. Engines with thrust-vectoring nozzles enable the Su-30MK to perform such maneuvers as 'cobra,' vertical reversement, roll in 'bell,' turn in 'cobra' and 'cobra' with an angle of attack of up to 180 degrees. These are not purely aerobatic maneuvers - the fighter's super maneuverability features can be effectively used in combat. This feature became possible also owing to the integrated aircraft/engine control system (AECS) which was for the first time used on a combat aircraft. It is designed to optimally coordinate the deflection of aircraft control surfaces and thrust-vectoring nozzles. Flight safety is ensured by an automatic g-limiting system whose operation depends on flight modes, as well as by four-time redundancy of all AECS channels. The pilot is provided with all necessary facilities for effective combat in the super maneuverability flight modes. 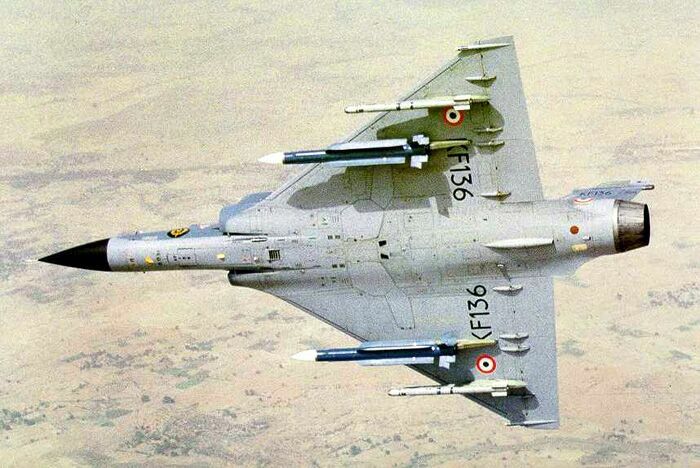 The Mirage 2000C and 2000-5 fly traditionally: their engines do not have a thrust vectoring capability and their effective angle of attack does not exceed 25-28 degrees. 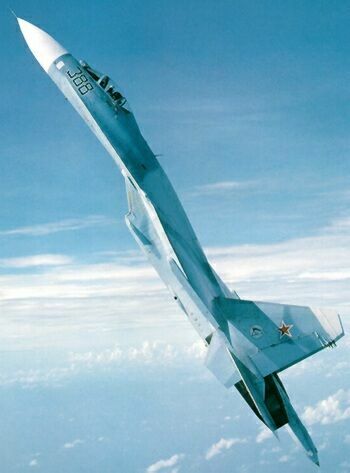 In terms of a non-steady g-load level, they only insignificantly (by 0.5 g) surpass the Su-30MK. The Mirage features a very high roll rate provided by their tailless delta wing configuration. Large elevons and inner flaps for pitch control enable the French aircraft to promptly transit from level to vertical flight. In terms of traditional maneuverability, these Russian and French lighters are largely similar. However, according to experts, the Sukhoi's super maneuverability gives it an overwhelming superiority in close air combat against aircraft with conventional flight capabilities. The Su-30MK and Mirage 2000 have approximately equal altitude, speed and acceleration characteristics that provide virtually equal time for them to approach a missile launch line when performing air target interception missions. Yet in the interceptor role Sukhoi is more preferable, as its 3000-km flight range (40 per cent greater than that of the Mirage 2000) allows it to cover the territory of virtually any Asian country. The availability of copilot/operator not only increases the crew's overall capacity and weapon employment efficiency but provides for group missions. In terms of weapon load delivered on ground attack missions, Sukhoi surpasses Mirage by 25-40 per cent. 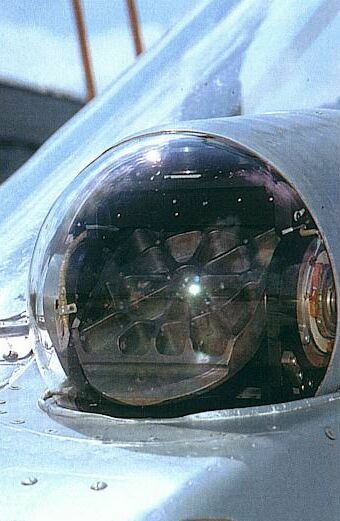 This feature enables the Russian fighter to considerably reduce time (by 30 per cent) required to destroy ground targets, particularly with air bombs. The aforementioned aircraft performances of the Su-30MK are largely attributable to its advanced engines. The AL-31 FP engine, compared to Mirage's M53-P2 engine, is more fuel-efficient with a specific fuel consumption at 1.92 kg/kg.h (M53-P2: 2.0kg/kg.h) with afterburning and 0.75 kg/kg.h (M53-P2: 0.9 kg/kg.h) at maximum power setting. In addition, the AL-3 I FP boast very high gas dynamic stability. Despite the fact that when performing a number of advanced flight maneuvers (for example tumble') the Su-30MK has occasionally to fly in a tail-forward position. Its engines maintain stable operation. The role of avionics in aircraft combat employment is ever growing. Let us look at the avionics subsystems of the aircraft under comparison. The superiority of the Su-30MK's radar in terms of the target detection range, scanning sectors, jamming immunity and capacity to launch active and semi-active radar homing missiles provides high efficiency in long range combat. In terms of long range and medium-range air combat with various aerial targets, the Su-30MK will command a considerable air superiority over not only the Mirage 2000C but the Mirage 2000-5 equipped with a more powerful radar. When operating against ground targets, the capabilities of radars of the aircraft under consideration are virtually equal. All Russian modern fighters, including Su-30MK, are equipped with an optical locating station (OLS) designed to search, detect, lock on, automatically track aerial targets, and determine target coordinates and range. The high accuracy and jamming immunity of the system interfaced with the onboard radar makes it possible for timely detection of enemy aircraft at a range of up to 50 km, which significantly enhances the aircraft's combat capabilities. Mirages have no analogue systems. The OLS operational modes made it possible to reduce lock on time, facilitate post-lock-on flight profile and increase a gun firing accuracy. For ground attack missions, both the Su-30MK and Mirage 2000-5 use optical target seeker/designator pods of (Atlis 2 type on the Mirage 2000-5) with similar characteristics. A number of the Sukhoi's onboard subsystems (navigation and communications equipment, cockpit instruments) are being developed jointly with foreign avionics companies. This assumes that these subsystems will be technologically at par with the best foreign analogues. The Russian fighter features high survivability, provided by a wide range of assets, in addition to those provided by its two-engine configuration. Systems protecting from fuel loss and hydro-shock, as well as the fire fighting system (which also protects airframe compartments) improve survivability by 20 per cent compared to that of Mirage class fighters. It should be noted that, in terms of potential weapons options, the Su-30MK considerably outclasses Mirage type fighters. The R-73E close range air-to-air missile in service with the Su-30MK has better characteristics (target designation angles, maneuverability, etc.) than those of the analogous French K.550 missile and is rightly considered the world's best in this class. With their high power and ballistic parameters, Su-30MK 's long-range air-to-air missiles allow it to deliver preventive attacks. In terms of range, these missiles surpass French AAMs of a similar class by 20-30 per cent (for example, Mirage's Super Matra) and can maintain large advantage zones in long-range air combat. With 12 stations for armament stores (compared to nine on the Mirage), the Su-30MK fully equipped with air-to-air missiles is more effective in repulsing a massive air raid. 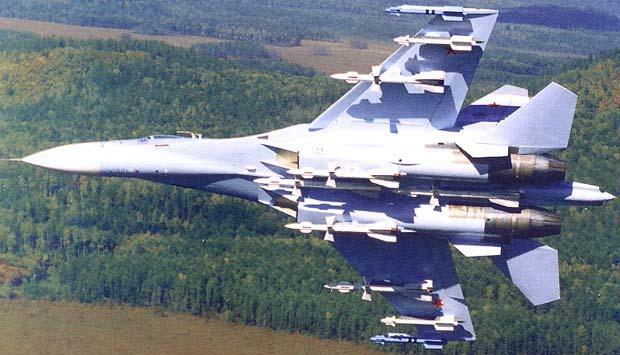 One should also consider a 2-3 time advantage of the Su-30MK in the number of simultaneously carried air-to-ground guided weapons and their higher efficiency. Guided weapons furnished with various guidance systems increase the Su-30MK's versatility and its combat capabilities. Heavy guided weapons can be employed against deep underground facilities that house critical targets at standoff launch ranges. The Su-30MK's medium-range guided missile, which has no equivalent in the Mirage's weapon suite, can also be used at long standoff launch ranges. Antiradar and anti-ship missiles in service with the Sukhoi aircraft significantly surpass their Western counterparts used by Mirage in terms of mean missile velocity. Sukhoi's bomb load, twice that of the Mirage's, decreases the number of requisite sorties to destroy ground targets, reducing possible losses. The Su-30M K's gun, compared to the French DEFA gun, features higher accuracy and better armor piercing capability to defeat infantry combat vehicles. It can he concluded from the Su-3OMK's unique features ensuring its high combat capabilities that this aircraft is one of the best multi-role fighters at the turn of the millennium. On the whole, aircraft combat capability is usually assessed by some complex indices, defining an aircraft's overall performance. One such index used to weigh fighter's interceptor capabilities is its combat potential. According to preliminary estimations, Su-30MK's interceptor potential is approximately 1.5 times greater than that of the Mirage 2000. Compared to Mirage, the Russian aircraft the advantages include greater tactical range and weapon load (guided weapons) and better survivability, which all result in the overwhelming superiority of the Russian aircraft. For example, Sukhoi is 2-3 times more effective than the Mirage 2000-5 when employed against airfields and infrastructural targets; it is two times more effective against armored vehicles and three times more effective against sea targets. In all, the Su-30MK vs. Mirage 2000-5 combat capability ratio stands at 2:1 (in combat actions against a totality of ground and surface targets). The Su-30MK is indeed a multi-role aircraft. It can be used as reconnaissance aircraft and targeting platform and lead group missions of other aircraft. The analysis indicates that this aircraft is primarily designed to attain air superiority, repulse massive air raids, support combat actions of other air arms, destroy a wide range of ground and surfaces targets, and execute a number of special missions. The Mirage type aircraft are typically used for air defense missions in the near zone of, possibly, against ground targets lacking air defense cover. Unlike the Mirage, operating the Su-30MK in the near zone will not fully exploit its capabilities. However, the advantages of the Russian aircraft are obvious. The heavy-class Su-30MK fighter can be detailed as a lead aircraft or group commander in the composition of combined aircraft groups to provide the cooperation and concentration of efforts, including those of light fighters, to accomplish assigned missions. Operating autonomously and presenting a long-range threat, the Su-30MK will dominate in any situation.